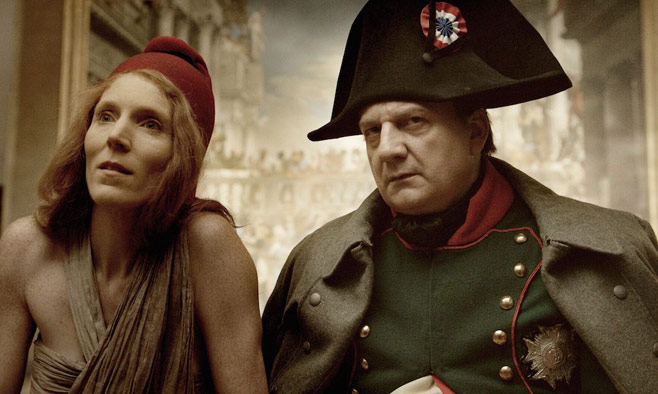 Alexander Sokurov’s “Francofonia” looks at Europe, art, power, the power of imagination to build and destroy. By Carmen Gray for The Calvert Journal. Russian filmmaker Alexander Sokurov, who has previously trained his lens on several of history's tyrants and authoritarians, returns with "Francofonia," centered around the treasures of the Louvre in 1940s Nazi-occupied Paris. The Calvert Journal caught up with him in Venice, where he defended the importance of conserving culture today. 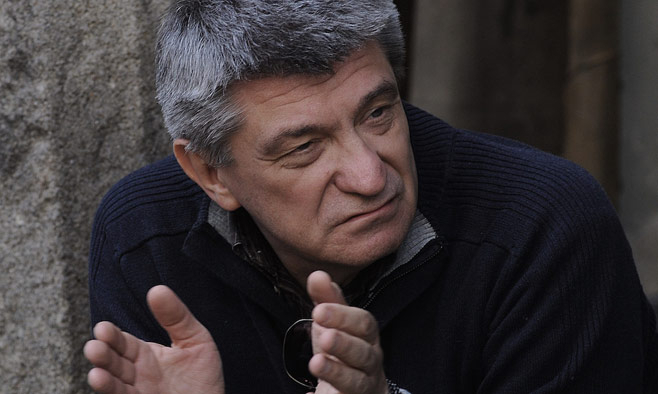 Alexander Sokurov is best known for "Russian Ark." Shot in St Petersburg's Winter Palace, the 2002 film consists of a single, unedited shot, and attracted much attention as an awesome technical feat. 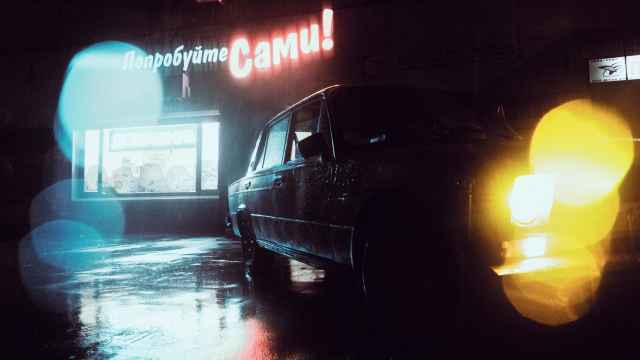 The scope of its conceptual world is no less ambitious, its narrator ghost drifting through centuries of history as he muses on the essence of Russia. The auteur's "Francofonia" feels like a companion piece to this monumental work. 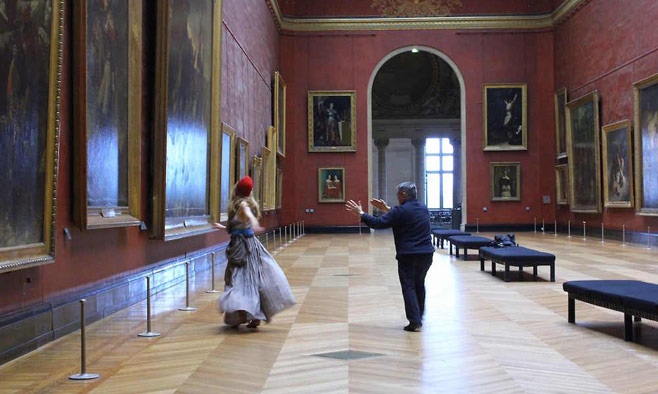 Premiering in early September at the Venice Film Festival, it journeys through another of the world's most revered museums, the Paris Louvre, as specters ponder similarly big ideas about cultural legacy. Sokurov already won the Golden Lion four years ago for his visually beguiling and idiosyncratic "Faust," and this year a first-time Venezuelan director came away with Venice's main prize, while critics awarded "Francofonia" Best European Film. We sat down with Sokurov in the Italian canal city to unravel his complex meditation on Europe. "Wherever you start from, you come to power. It's sort of a fix, and there's nothing that can be done about it," says Sokurov. He's responding to a question about the relationship between art and power — one of the main themes of "Francofonia." Succinct remarks that skim the point are not something you get from this man, whose conversational tangents are rooted in a style of philosophizing that recalls an older world. 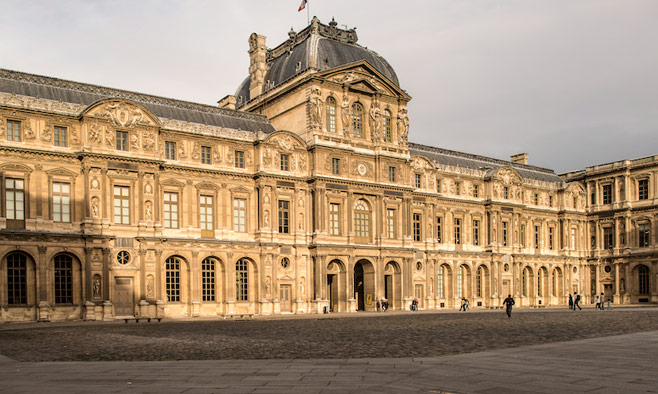 The film opens with archival footage of Hitler being driven around Paris in 1940 and centers on the preservation of the Louvre's collection during the Nazi occupation. It probes the alliance between gallery director Jacques Jaujard, who evacuated paintings to secret locations, and Franziskus Wolff-Metternich, a Wehrmacht officer who was enlisted by his party's command to protect artworks (including German treasures in France since the Napoleonic wars) but felt no strong allegiance to the Third Reich. Sokurov's interest in interrogating the workings of power is well-established, with his 1999 "Moloch" (about Hitler), 2000 "Taurus" (about Lenin), 2004 "The Sun" (on Hirohito) and 2011 "Faust" (a take on Goethe's titular tragedy) forming a tetralogy on power's corrupting effects. "Power is ubiquitous; it governs everywhere. If you believe in God's plan then power is part of that plan — not the best part as far as I can see," he says. 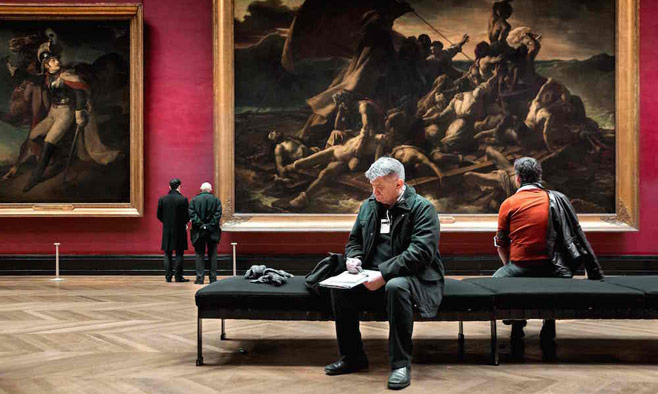 "Francofonia" points to the spoils of conquest in the Louvre and other great museums to emphasize that war as much as cultural creation underpins our notions of civilization. Whoever is in possession of these artifacts usurps the historical memory and fate of a people. "Only a great work of art has the capacity to link the past to the future and the present," says Sokurov. "Paintings may give us an understanding of who we are as Europeans." While the wartime preservation activities in and around the Louvre are charted, this is merely the core of a richly complex, multi-layered film that spans out through history to muse on the way in which Europe has been made or imagined. Defying categorization, the terms "docu-fantasia" or "cinema-poem" maybe best approximate the vivid, lyrical imagination with which its ideas materialize. 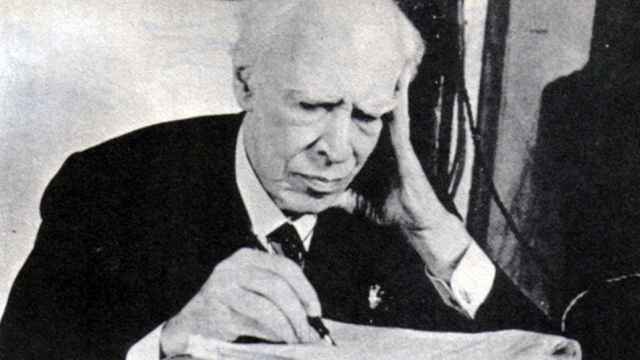 "An Elegy for Europe" is the film's subtitle of sorrowful contemplation. Chekhov and Tolstoy, sepia-toned in deathbed photographs, are spliced into proceedings, as Sokurov's ever-present voice-over narration declares that the 20th century started with the fathers falling asleep. Napoleon (played by Vincent Nemeth) roams the rooms of the largely empty Louvre as a ghost, his mammoth ego puffed up each time he sees his own image reflected back at him from one of the paintings. It's a very male world of father figures — not surprising for a director who peppers our conversation with less than progressive views on gender relations such as: "There is no way for men and women to find a middle ground talking, so it's better not to start." Johanna Korthals Altes is given the lofty role of personifying France, but more as a cipher who moves about the building repeating the republic's motto Liberte, egalite, fraternite. Symbolic meaning is also loaded into segments in which Sokurov chats via Skype with a ship captain whose cargo of museum artworks for restitution is under threat by a storm, echoing the turbulent forces of fate and history. While "Francofonia" is far too densely packed for any simple reading, it suggests that while art is often enlisted in the service of power, it is also our only hope for transcendence. Sokurov says: "There's been no renewal of the attitudes of states, societies, people. Things go on in the old ways, as we say in Russia. That's the sore point, the great pity of it all. The only thing cinema can do is appeal to your heart, your soul. The soul can still do something." He speaks more specifically about resistance to the machinations of rule in Russia, and the role he sees in this of artists: "The intelligentsia have two main forms through which to speak out. First of all by the work of art. And second by open political protest, or the expression of a political position. For me, denunciation through a work of art is the most important. Political outspokenness is less important for the creative person because when you participate in the political process you don't know the rules of the game, what is behind the scenes. Even with as excellent a parliamentary practice and democratic society as Britain has, for example, it's not easily understandable why the politicians act at a certain point of time in a certain way, whose interests they protect. Creative people are very sincere, simple, open people. We are not protecting any social interests. We understand that on the basis of humanitarian principles it is better the world goes in that direction." He continues: "The intelligentsia in Russia have serious contradictions with the president; we don't find an acceptable explanation for the situation in Crimea, because our principles have not changed. They're the same European principles that you have, and the political practice just has the liberty to change its principles according to their interests. "Francofonia" has Napoleon as a protagonist not by chance. At a certain point in time he was absolutely unacceptable, a man to loathe. He was a killer, and killed hundreds of thousands of people who died uselessly for his sake. At a certain point in time the accent and attitudes shifted and he became a national hero. The pain gets put away and other feelings come to the fore." While the film's main arena of power play is wartime Paris, it is also very much about Russia and its strained belonging in Europe. Archival footage of the siege of Leningrad underscores its defining role in national identity. The voice-over muses that while the art in the Louvre was preserved as valuable by invading forces, many treasures of Eastern Europe were looked down on as Slavic and not afforded such status, so were destroyed. 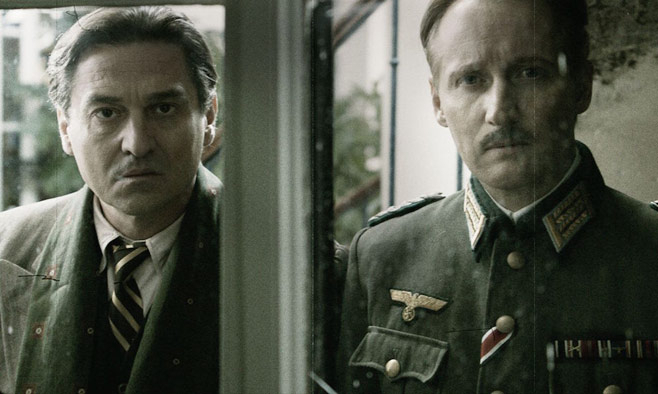 With the current government in Moscow increasingly isolating itself from the rest of Europe, the positioning of Russians by Sokurov as "we Europeans" is loaded. "Russians can be nothing else but Europeans," he says. "Culturally as a formation Russia was created by Europeans. It is a conscious choice of Russia to be European. The Russians could have been very different, perhaps more universal, more powerful, more perfect if they had chosen other teachers but they have chosen European paradigms. It is not our fault that Europeans look askance at its younger sister Russia. Whatever happens, whatever tyrant or mediocrity goes to power in Russia, we are a part of Europe. In Soviet times, when there was an absolute chasm, we had excellent translators, and had translated all the important works of European literature, even the newest books. If someone divided Russia from Europe it would not survive." While it reaches into the past of a Europe now lost, "Francofonia" carries rich resonances with the present and Europe's future, from the destruction of heritage sites by the Islamic State (relics from Assyria are pondered) to the flight of refugees (echoed in the wreck in Gericault's "The Raft of the Medusa") and the uneasy relationship between the Germans and the French — who Russia looked to in the Enlightenment and who are essentially now governing the continent. This article first appeared in The Calvert Journal, a guide to the new east.